The University of Paris, the oldest university in the World, sits in the Latin Quarter since the 13th century. Many of its students live in this district. 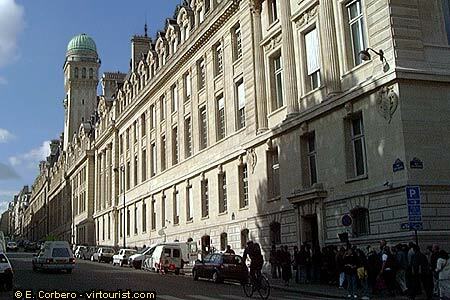 But after the students riots in May 1968 the district has lost some of its bohemian flavor, because authorities split the university of Paris in 13 Campus. Nonetheless, many cafes, shops and artists remain in the world famous 'Latin Quartier'.